Taking examination is not something new or unique for a college or University student. He/She has already appeared in more than one dozen examinations at the primary, middle, high school or higher secondary level. Despite all this, certain students commit various mistakes in the examination hall leading to inordinate delay in the declaration of results. It also causes lot of inconvenience to the officers and officials of the Examination Wing. Most of these mistakes are the outcome of ignorance and negligence on the part of our examinees. Hence there is an urgent need to educate our student community about the major sources of common mistakes committed during the process of examination. Realizing our professional, moral and social responsibility, we have devised a set of important guidelines for our students. Since students at the undergraduate levelconstitute the overwhelming majority of our examinees, we have devised these guidelines with an undergraduate student as the point of reference. We request our students to read the following guidelines carefully and strictly adhere to them in the examination hall to avoid any punitive action. Make sure that you reach at examination Centre at least half an hour earlier. On the first day of examination you must reach there one hour earlier before the start of examination. Locate your Centre of examination. In case of any difficulty, approach the office of the Principal or Head of the Institution where your examination Centre is located. Remember, if you are late by 15minutes or more, you will not be permitted to appear in the examination. Do not enter randomly into any examination Centre of the College/Institution. It can land you into trouble. Show your identity card to the supervisory staff on duty as and when demanded. Your identity card is proof of your identity as an examinee. Identity Card assumes added importance for a student if his/her photograph on the Admit Card is of poor quality. If you do not carry your identity card, you have no reason to seek entry into the examination Centre. Once you enter the Examination Centre, you shall occupy the seat allotted to you. Do not decide the seat yourself. 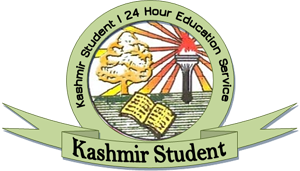 During the course of examination, all examinees in an Examination Hall are under the control of Centre Superintendent. You shall have to obey all orders of the Superintendent including the allotment of seats. Once you occupy your seat in the Examination Hall, you will be provided one blank Answer Booklet. Ensure three features of your Answer Book. First, your Answer Booklet must contain 32 pages ( incase of undergraduate examination) or 40 pages (in case of post graduate/professional examination). Second, it must be properly stitched so that there is not any loose or damaged page in it. Third, it must contain a serial number at the right top portion. If your Answer Book is deficient on any of these accounts, immediately bring it to the notice of Centre Superintendent and get it replaced. Never write anything on the Answer Booklet unless you are satisfied with its quality. Once you are satisfied with the quality of your Answer Book, you should immediately concentrate on its front page. On the left portion of the Answer Book, there are five important guidelines for you. These are mentioned under the title Instructions for the Candidate. Please remember that disclosing your identity by writing your name, residence, mobile number or making special marks on the Answer Book will lead to unfair means case. Mobile phones, pagers and articles of like nature, any textual material, printed or written or bits of paper are not allowed inside the Examination Hall. Similarly receiving help from any source in any manner or rendering help to another candidate, also tantamount to unfair means. Please note that it is the mere possession of copying material that constitutes unfair means. Its use or non-use is immaterial. Before writing anything on the answer book, check your pockets, desks, geometric boxes, purses etc. If any written material is in your possession or otherwise found in close proximity of your seat, immediately hand it over to the supervisory staff. Last but not least, you will never make any appeal to the examiner. Centre Superintendent will also read out these and other guidelines and warn the examinees against the consequences of all forms of misconduct. Hate all sources of unfair means and avoid punishment. The first word you will write on your Answer Booklet is your Roll Number. You will write it in both figures as well as in words in the space provided in the box on the right side of the cover page. Before writing your Roll Number, have a fresh look at your Roll Number slip. This is necessary to ensure that you will write your Roll Number correctly. Do not write your Roll number at any other place other than the space provided in the right side box of the front page. In the figure format, every digit of your Roll Number must be written in one cell of the box. No two digits must be written in one cell. Every digit of the Roll Number must appear neat and clear so that it is legible from a distance. Sometimes students write the digits carelessly and it becomes difficult to distinguish between two digits say 7 and 9, 3 and 8 etc. Avoid it.While writing your Roll number in words, you shall follow the lateral Translation Method. Suppose your Roll Number is 17845. Its lateral translation is: One Seven Eight Four Five. There is no need to write this Roll Number as Seventeen Thousand Eight Hundred and Forty Five. Follow the lateral Translation Method strictly. While you have to write your Roll Number in both figure and word form only once, you shall have to write the name of Examination, Subject and Paper at two places in both the right hand and left hand boxes given on cover page. Against Examinations, you have to write the name of the examination in which you are appearing. For example, if you are appearing in B.A/B.Sc/B.Com Ist year Annual Examination, the name of your Examination is BG I—Annual. For 2ndyear, it will be BG2—Annual. For 3rdyear, it is BG 3-Annual. In case of bi-annual/backlog examinations, these names would read as: BG I-Bi-annual, BG2-Biannual,BG3-Bi-annual respectively. Against the Subject, you shall write the full name of the subject in which you are taking examination. If you are appearing in Economics, you will write Economics against the Subject. While writing the name of the subject, you should never use abbreviations like Eco for Economics, Eng for General English and so on. Against the Paper you shall write the code of the paper in which you are taking examination. If it is first Paper of Economics, you will write A against the Paper. For second paper of the subject you will write B and so on. Never use words like Ist, 2ndor First, Second or 1,2 or I,II or any other nomenclature for A and B. You shall have to write your Roll no. and other particulars in English only even if you are a student of Porintal Classical or Modern Indian Languages. If you do not know English language, you should seek help from any supervisor of your examination centre. The particulars you mention on the cover page must be correct and complete in all respects. Incomplete or incorrect particulars are major reasons for inordinate delay of results. It has to be stopped. If you write a wrong Roll Number or do not write your Roll Number at all or write the Roll Number of some other student, it will invite a huge financial penalty of Rs.2000/- in the days to come. Similar financial punishment will be imposed if you write wrong subject name or wrong paper code or do not write the subject name or the paper code. After writing your particulars correctly and completely, you will be supplied the Question Paper usually 10 minutes after the receipt of your answer booklet. Your question paper will in most cases consist of 9 questions spread over three sections. Section A will have just one question with 8 parts numbered through Roman Notation -- (i),(ii),(iii)….(viii). Section B has four questions numbered as 2,3,4 and 5. Section C has also four questions numbered as 6,7,8 and 9. Whichever question you attempt and wherever you attempt it, its serial number as given in the Question paper should never be changed. If you attempt Q.No.8 first, you should in no case change its number to Q.No.1.Similarly if you attempt Q.No.5 as your second question, its serial number will continue as Q.No.5 not Q.No.2. In certain cases, students write 1,2,3,…8 for the eight parts of Q.No.1. Similarly they write 1,2,3,…4 for the four questions of Section B. They also write 1,2,3,4 for the four questions of Section C. It has also been observed that some student write 1,2,3,….8 for the eighth parts of Q.No; 1,9,10,11 and 12 for the four questions of Section B, and 13,14,15 and 16 for the four questions of Section C. These are highly undesirable practices causing lot of problems to the examiners during the process of evaluation. Students indulging in such practices are liable to be punished. Before starting the answer of a question or part of a question, you shall indicate its number on the left hand side in bold abbreviated letters. Suppose you attempt eighth question first. In the Question paper it is indicated as 8. You will indicate it as Q.No.8. You will write it in the left margin of first line of page 3. You will not write any answer on page 1 or 2 because these pages constitute the cover leaf of answer booklet. Having written Q.No.8 on the left margin of first line, do not write anything else in this line. Start the answer of this question from the second line. Answer should start at least one inch to the right, vertically below the word Q.No.8. Other questions have to be indicated similarly. Section A has only one question. It is indicated as 1 in the Question Paper. It has 8 parts indicated as i,ii,iii…viii in the question paper While writing the answers to these parts, you will indicate them as Q.No.1(i), Q.No.1(ii)…..Q.No.1(viii). The procedure recommended for Q.No.8 above, must also be followed for each part of Q.No.1. Always make it a habit to write the complete answer of a question in one go. Some students write answer of a question in piece meals at different places in the answer book. Once you decided to attempt a particular question say Q.No.8, finish the answer in one attempt and never leave it half way. It should never happen that you attempt some part of the answer on page 3 and 4 and other part of the answer on say page 11 and 12. In certain cases, answer is found at three different places. Attempting one or more questions in between two parts of a single answer is not permissible. It will invite punishment. If a question has several parts, answers of all the parts must be attempted consecutively. Suppose Q.No.8 has two parts; it should not happen that answers of two parts are attempted at two different places and there are answers to other questions in between the two parts. Q.No.1 has 8 parts. Answers to all these parts must be attempted serially and consecutively. First, Q.No.1(i) should be attempted. It should be followed by Q.No.1(ii) and so on. In no case should it happen that you attempt any two parts say Q.No.1(i) and Q.No. (v) on page 1; Q.No 1(ii) on say page 7; Q.No.1(iii) and Q.No.1(vii) on say page 17 and so on . This practice creates lot of problems in the process of evaluation. If you know the answers of only a few parts of Q.No.1, attempt them serially at one place, leave blank space for the remaining parts. Attempt other questions. Meanwhile, if you can recollect answers to the remaining parts of Q.No.1, return back and use the blank space to write these answers. If you can not write answers to these questions, then cross the blank space before submitting theanswer booklet to the supervisory staff. Remember that each part of Q.No.1 is very short answer type question to be answered in about 20 words. These 20 words could be written in two lines. Such a short answer attempted in between two medium or long answer type questions can easily escape the attention of the examiner during the process of evaluation. It can lead to loss of marks for a student. Attempt all parts of Q.No.1 serially and consecutively to protect your merit. If you do not do it and later on apply for a Xerox copy of your answer booklet under RTI, your marks will not be revised if any part has escaped evaluation. Once the answer of a medium or long answer type question is completed, you shall leave a gap of 3 blank lines and then attempt the answer of another question. This is necessary to send a message to the examiner that you have finished the answer. In case of Q.No 1 you shall leave a gap of just one blank line. In certain cases students attempt answers to two to three questions and then leave a space of 1 to 10 blank pages and then start writing answers to other questions. In a few cases just one page or paragraph is attempted after leaving many blank pages. It is a dangerous and costly venture. Please avoid it altogether. Students committing such mistakes are liable to be punished. As in case of Q.No 1 if you have left a blank space of 1 to 3 pages to complete the answer of your question, you should utilize this space for the same purpose. If you cannot add anything to the incomplete answer, you must cross the blank pages before handing over the answer book to the supervisory staff. Uncrossed blank pages will invite punishment. Your blank answer booklet has 32 pages. Excluding the cover leaf and the last page which is a graph page, you have 29 pages to answer all the 9 questions of your question paper. There is no provision of any supplementary answer book or continuation sheet. Hence, you have to make a judicious use of the answer book. Once you start the answer of a question, you shall write on each ruled line on both sides of the leaf. Avoid the practice of writing on alternative ruled lines only. Avoid also the practice of going for double margins—left and right margins. Do not waste pages unnecessarily. Any rough drafting, calculation etc. if made should be crossed out. Sometimes students are not satisfied with the contents of an answer and they want to cancel it. If whole page is to be cancelled, simply cross it from top to bottom. If only a paragraph is to be cancelled, put this paragraph in rectangle and then cross it. Similar is the case if only a few lines have to be canceled. Putting a small cross at the beginning of a page will confuse the examiner who fails to know what is to be cancelled. In future, a small cross at the beginning or any where in the page will mean cancellation of the whole page. Given the present pattern of Question Paper at the undergraduate level, all the questions of section A and B are compulsory. Here you do not have any choice. But in case of section C , only two questions have to be attempted. Some students attempt all the four question. Remember, even if you attempt all the four question, you will be awarded marks for best of the two answers. Avoid this practice. It will save much of your precious time for writing answers to another questions of the Question Paper. In case of Section A, answer to each part should be confined to about 20 words. It is a question of at the most two to three lines. Why to write half a page and in certain cases one full page? Whether you write one correct page or just two correct lines, your score in each case will be 2 marks. Be brief, save time and concentrate on medium and long answer type questions. Write your answers in neat and clean handwriting. Bad and illegible handwriting is a major reason for reduction in marks. Your answer must have correct language so that the examiner can understand it. Remember, in the present system of evaluation, you shall be evaluated on the basis of correct contents of an answer written in neat and clean handwriting and grammatically correct language. If your answers do not possess these qualities, you should not get disappointed if your marks are low or you fail to qualify the subject. While attempting the answer of a question, you should write what you are asked to write not what you want to write. Read the question carefully and then attempt the correct answer. Never, attempt the answer of a question which has not been asked in the question paper. Do not have the illusion that whatever irrelevant answer you will write, it will fetch you some marks. Correct answer even if very short, will always fetch you some marks. On each day of examination you will have to write your name, S.No. of the answer book and also put your signature on both consumption register and attendance sheet. While writing your particulars, you should first locate your Roll Number. In the consumption register, it is given in the 2ndColumn. Every page of this register has 17 S.Nos If your Roll No. figures against say S.No.4, use this row to write other particulars like S,.No. of your answer book (column 3), your full name (Column 4) and your signature (column 5). Whatever information you have to provide, you will always write it in one single row against your Roll No. You will also follow the same procedure in case of attendance register. Remember, your Roll number is unique and you have a unique space to write your particulars in both consumption register as well as the attendance sheet. Never, use the space allotted to other students who are also taking examinations with you in the same examination centre. Whether it is the consumption register or the attendance register, write the particulars completely. Never provide incomplete information. After the declaration of the result if you apply for redressal of any grievance, it could be addressed only if you have written complete and correct particulars on the cover page of the answer book, consumption register and attendance sheet. At the bottom of the right hand box on the cover page, Deputy Superintendent of your Examination Centre has to sign your answer book on each day of your examination. Before you handover the answer book, make sure that you have got it signed. Unsigned answer script will not be evaluated. Please note that you have accepted the blank answer book after testing its quality including the fixed number of 32 pages contained in it. You shall not tear out any used or unused page of the answer book. Similarly, you will not replace/insert any fresh page in the answer book. It involves severe punishment. Always write your Examination Roll Number on the Question Paper once it is supplied to you. Except Roll Number do not write any other matter on your Question Paper. Never use it for rough drafting or calculation etc. Do not make any impression with the help of carbon sheet on the back side of your admit card. Whether you attempt all the questions or a few questions or no question at all, the answer book must be delivered to supervisory staff. Always handover your answer script personally to the Supervisory Staff. In no case you should hand it over to any of your friends or leave it on the desk. Use only blue or black ink pen/ball pen while attempting your Question Paper. Use of any other jell pen/ball pen shall be considered as use of unfair means. Despite all care and precautions, if you commit mistake while writing your Roll number, you should immediately rectify it. Procedure is simple. First cross your Roll Number where the mistake has been made. If mistake has been made in the figure format, cross it but do not cross the word format if no mistake has been made there. Reverse is also true. Second, move out of the right hand side box of the cover page. There is still some blank space available above the title ‘To be filled by the candidate’. Make a box there. The number of cells must be exactly equal to the number of digits in your Roll Number. Write your Roll Number there. Put your signature to the left of the box. Get the signature of Deputy Superintendent towards the right of the box and that of the Centre Superintendent on the top of the box. All the signatures are compulsory. One alone will not do. If you have made a mistake while writing the subject name or paper code, you should utilize the blank space below the right hand box of the cover page. Write the correct subject name or paper code, put it in a rectangle, sign towards the left and ensure the signatures of the Dy. Superintendent and the Superintendent. You have signed the Admit card well before the examination. Now you are in the examination hall. On each day of examination, you will put your signature on the consumption register and the attendance sheet. Your signature must be identical at each place. Remember, if there is any variation in your signature, it will make your identity doubtful in the examination centre. You answer book will be dispatched separately as a stray case. It will invite thorough investigation. A candidate found misrepresenting any other candidate in connection with the examination, is liable for disqualification for two years. No candidate can appear in a subject/optional paper not originally offered in his/her admission/examination form. For private students, change of subject/option is permissible within one month after the submission of examination forms. In case of regular students including students pursuing B.Ed programme, selection of optional papers shown in the Registration Returns is final. No change will be made thereafter. Whatever change has to be made it must happen before the submission of RRs by the college. Post examination, no application will be entertained for any change in the subject/optional paper. If you have not made any mistake while submitting your admission/examination form or in seeking the written permission, you shall request the Centre Superintendent to allow you provisionally in the examination of the subject/optional paper. You will have to submit a declaration to the effect that you are appearing at your own risk and responsibility. Later on if it is found that you had neither offered the subject/optional paper nor sought any prior approval, your answer script will never be evaluated. Be very careful while submitting your admission/examination form. If eligible, you shall have to apply for reevaluation within 15 days from the date of declaration of the result. Given the facility of online submission of re-evaluation forms, you can apply for the same from any corner of the Country/State. No re-evaluation request is entertained once the due date is over. Please note that we are shortly reducing the application period from 15 to 7 days. A student can apply for re-evaluation if he/she fails in a subject/paper by 10% of the marks or less. If the minimum pass marks in a subject are 54, a student is eligible for re-evaluation if he/she gets 39 or more marks out of 150 marks in a subject. A student with 38 marks is not eligible for re-evaluation. We have to respect the cut-off line even though it appears harsh in certain marginal cases. Wherever permissible re-evaluation is allowed upto a maximum of 50%of the subjects/papersof an academic programme. Statutes governing the re-evaluation provisions are being scrutinized. Suitable amendments will be made shortly. 32. Xerox copy of an answer script under Right to Information Act (RTI): Under RTI Act, we are duty bound to provide the Xerox copy of an answer script to an examinee within a maximum period of 30 days. We are performing this job except in certain cases where the student has committed mistake in terms of Roll number, Subject name or Paper code. Please note three things about the xerox copy of your answer script. First, it is not a substitute for re-evaluation. Applying for Xerox copy under RTI never means that you have also applied for re-evaluation. If you want to apply for both, you have to submit two applications; one to the Controller of Examinations (online submission of reevaluation form) and second to the Public Information Officer (Application for Xerox copy of the answer script). Second, Xerox copy is for your own information and analysis. You can use it to ascertain whether each question /part of the question has been evaluated or not; whether the marks awarded to an attempted question have been reflected on the cover page or not. You can also use it to verify the total of marks. It can also help you to understand why there is significant difference in the marks of two medium or long answer type questions. Once you identify the weaknesses of your answers, you can attempt a better quality answer in the next examination. Third, Xerox copy is never meant for any unofficial re-evaluation. You can discuss the quality of your attempted answers with your friends/parents/teachers. Anyone can give his/her opinion on the evaluation of the answer script but no one can change it. 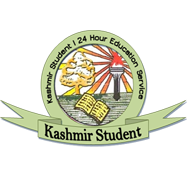 There is no provision for seeking any fresh re-evaluation from any source for any answer script outside the Examination Wing of the University of Kashmir. RTI is in operation for about one year. We are still working with pre-RTI re-evaluation statutes. Our statutes do need suitable amendments. We are moving fast on this front. Shortly, a new set of amended statutes will be put to practice to address the genuine grievances of our students. We wish all our students a credible examination.